It’s hard to believe that Hot in Cleveland, the show that put TV Land on the map as a producer of original content, is gearing up for its fourth season. If you’re a little bit behind on the Betty White-starring vehicle, have no fear, Hot in Cleveland: Season 3 will hit DVD on November 27, just in time for the Season 4 premiere on November 28. 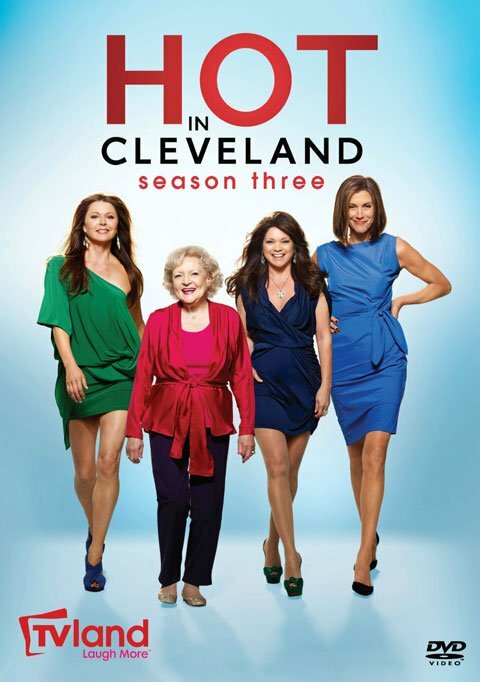 Hot in Cleveland follows the adventures of three Los Angeles veterans who move to Cleveland, Ohio to start a new life and live with Betty White’s character, Elka Ostrovsky. Season 3 features a bunch of shenanigans, including Elka’s multiple boyfriends and a guest appearance from Mary Tyler Moore. I’m not going to lie, I’m kind of over the whole Betty White obsession, but if you are looking for a show that is chock full of guest stars from television’s past, Hot in Cleveland is a show primed with nostalgia, including appearances from TV Legends like Moore, Cybill Shepherd, Ed Asner, and Regis Philbin. The show is even filmed in front of a live studio audience, so if you are thinking you would be into some TV nostalgia, Hot in Cleveland really is primed for it. Unfortunately, the extras are a little less exciting. The Season 3 set looks pretty barren in the special features department, but will come with a featurette called “Some Like It Hot.” Plus, the set won’t break the bank, with the three-disc DVD featuring all 23 episodes only running for $29.99. You can check out the cover art, below.